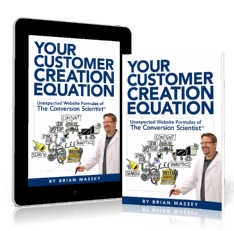 This a guest post by Your Customer Creation Equation reader and email marketer Elliott Breadmore. When I launched my first website I was full of excitement and enthusiasm, looking forward to providing thousands of people with valuable information that I had learned. Sharing my knowledge on my site was the easy part though. Getting the views is another thing. For example, getting views through back linking can be a tediously long and frustrating process. It can require hours and hours of dedication and can sometimes have only minuscule results. If done wrong it can annoy viewers and bring negative sentiments to your site and actually have harmful or depressing consequences. When back linking you need to keep an overall positive attitude and thank people for their feedback. Back linking: The process of going onto another site, talking about the subject in the post (normally related to your niche but not always necessary) and then leaving a link back to your site. The point of back linking is to increase the number of views that one of your pages receives, therefore boosting it up on the Google page rank. This is where your “marketing battery” comes in; it is all about viewers and conversion rates. When your page receives views, you can expect 10% to go onto the squeeze page and request your free product, which then makes them subscribers. Squeeze Page: A landing page created to solicit opt-in email addresses from prospective subscribers..
Now with those 10% of viewers that are now subscribers, we send emails offering valuable information so they keep coming back to our site wanting more. After 4-5 solid emails with helpful information, a sales letter goes out. Sales Letter: An email, often in “letter” form, advertising a product. This letter is, by definition going to those who are most worthy to receive it; they have not unsubscribed after the first 4-5 mailings. We build a relationship with our subscribers during the first 4 or 5 emails, and then when they know that the information that we are providing is both legit and educational, the sales letter goes out. Your email campaign can also be a difficult process. You specifically need to address each letter on the subject of your choice. When writing these first couple of emails , they need to be very informative, structured, and professionally friendly. These emails are crucial if you are to sell your product. I personally recommend the email being no longer than 400-600 words. You don’t want to burden the reader, but instead keep them interested and looking forward to the next one. Keep in mind that your subscriber batteries will lose charge over time. Having multiple products that are consistently advertised to your subscribers can cause a drain on the juice, so keep an eye on your stats and evolve your strategy as needed. You want to keep your subscribers happy, informed, and engaged, while avoiding product advertisement burnout. Remember to keep your approach happy and positive; this will ensure that others enjoy your site as much as you do. Elliott Breadmore is the Marketing Manager of Email Marketing Tips, one of the leading online resources for all things email marketing. His (and Email Marketing Tips’s) main goal is to provide fast-tracked education to aspiring email marketers.